Understand customer behaviour like never before. Get 360° customer views. 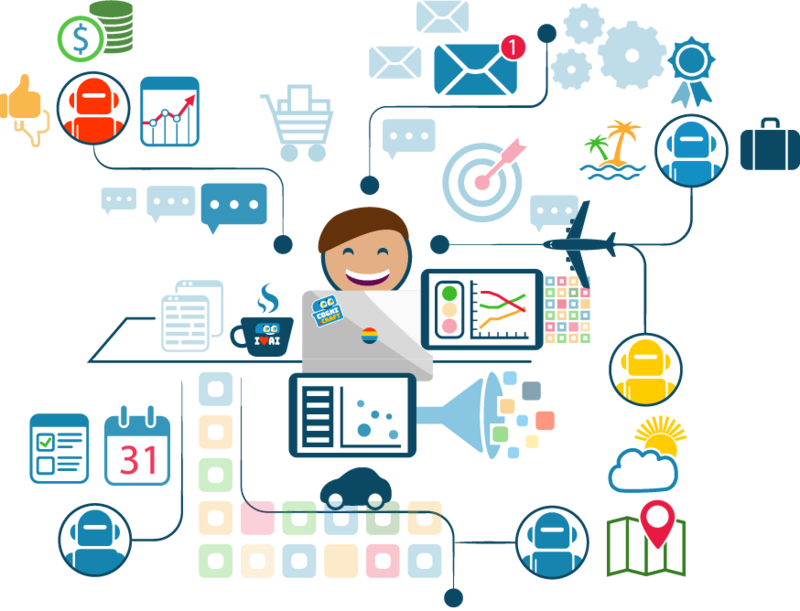 We unlock your data, combine your marketing strategy, with messaging and robotic process automation (yes, bots!) to give you an actionable customer view. This helps you create conversation-based customer experiences, power your lead generation and nurture your conversion funnel. And connect like never before. 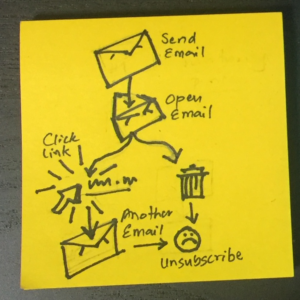 Marketers would spends hours and days drawing out a flowchart of how a customer will interact with emails. They would ponder over what actions the customer should take based on what was already available on their website. Customer receives email, wait a day, customer clicks email link, send next email, etc. This looks pretty intuitive, right? Conversational Artificial Intelligence, aka Chatbots, (think Siri but not just) are an evolving form of Human Computer Interaction (HCI). Forecasts show that the use of messaging and chat based, conversational interfaces will overtake traditional UI in the near future. Why such a buzz? Conversational interfaces facilitate customers through the customer journey much alike a sales person would. The added feature of a chatbot is that it can access a broad knowledge base and suggest appropriately every step of the way. They can synthesise information into natural language and speak it out to a customer that may be driving their car. These interfaces open up a whole new opportunity in what products have to offer and how they can add value to your sales and customer retention strategy. We have all heard of Big Data now. With Big Data we can store a lot of customer interactions, then analyse them later to gain insights about what our customers habits are. But, hang on a sec, can customers really wait? What we need today is data that can inform us of what is happening, as soon as its happening with deep insights into what’s the next best action to take. If we wait for our leads to collected on one day and then processed the next, we might be losing out to our competition without even realising it. So how would that work with the IT team? Does that sound like a mega 6-month project? Do they have the bandwidth? Do you need to change the Data Warehouse?